SAN FRANCISCO (Reuters) - Apple Inc pulled a "bait and switch" move to force GT Advanced Technologies into a money-losing deal to supply the iPhone maker with sapphire, according to an affidavit by a senior executive at the company. In documents unsealed on Friday by a U.S. Bankruptcy Court in Springfield, Massachusetts, GT Advanced Chief Operating Officer Daniel Squiller says Apple offered what would have been GT Advanced's largest sale ever and then changed the terms of the agreement after it was too late for the smaller company to pursue other opportunities. GT Advanced, a maker of sapphire furnaces that supplied sapphire material to Apple for its smartphone screens, filed for Chapter 11 protection on Oct. 6 and refused to publicly explain why it had imploded, citing confidentiality clauses in its Apple contracts. The two companies later reached a deal to part ways and allow GT Advanced to proceed with its bankruptcy, but Judge Henry Boroff denied requests by the companies to keep some of the documents in the case under seal. In a deal struck last year, GT Advanced outfitted a plant owned by Apple in Mesa, Arizona with furnaces that it would use to make scratch-resistant sapphire exclusively for Apple. "With a classic bait-and-switch strategy, Apple presented GTAT with an onerous and massively one-sided deal in the fall of 2013," Squiller wrote. 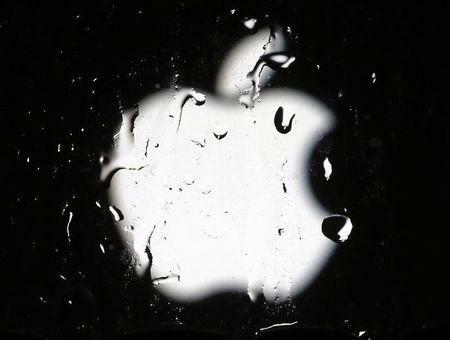 In another document unsealed on Friday, Apple called GT Advanced's accusations "scandalous and defamatory". At the start of negotiations, Apple offered to buy 2,600 sapphire growing furnaces from GT Advanced, which GT Advanced would operate on behalf of Apple, the "ultimate technology client to land," according to Squiller. "In hindsight, it is unclear whether Apple even intended to purchase any sapphire furnaces from GTAT," he wrote. But after months of hard negotiating, Apple offered a deal under which it would shift away economic risk by lending GT Advanced the money to build the furnaces and grow the sapphire, and then sell it exclusively to Apple for less than market value, Squiller wrote. GT Advanced was effectively forced to accept the unfair deal in October 2013 because its intense negotiations with Apple had left it unable to pursue deals with other smartphone makers, he said. "These statements are intended to vilify Apple and portray Apple as a coercive bully," Apple said in its separate filing. It said GT Advanced was eager to make a deal, and pointed to a jump of over 20 percent in the shares of GT Advanced after it was unveiled. In November of last year, GT Advanced Chief Executive Officer Tom Gutierrez told analysts on a quarterly conference call the company was "very pleased" to have made the agreement to supply sapphire to Apple.